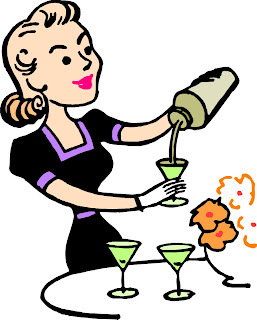 The Mom Standard: Executive Homemaker Cocktail Klatch: Hate being a SAHm! 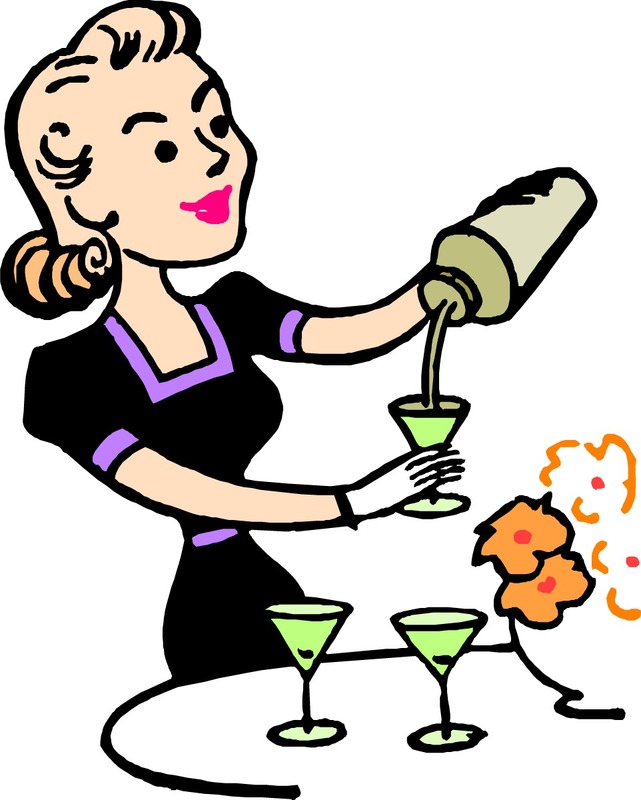 Executive Homemaker Cocktail Klatch: Hate being a SAHm! After giving my brooding, woe-is-me self a kick in the rear, the Friday Executive Homemaker Cocktail Klatch is born. Tonight’s Topic: Hating being a Stay-At-Home. Know what’s funny? While in the “career” world the position I held was exactly the same as now. Picking up after everyone everyday to maintain a positive impression to clients, the government, our employees, the bank, the community, OSHA, etc. Monitoring the corporate health aka morale & finances. Oh dear God. It took 6 years to get that company in the black! Appeasing employees of which the majority acted like toddlers. Everyday there was whining from someone. Oh the pain to sit there straight faced my tongue and dialogue restrained by all the HR laws. Reviewing my personal progress to ensure I was on my correct career trajectory. A network of my peers. What? The SAHM niche is nothing but a network of peers. Tonight after chatting with the hubs, my what, where, & when is decided. Finish writing my in-process book series. Teach my daughter to create a life map to keep track of all the paths she takes. Bay Area Bags http://www.bayareabags.com/ : If you're a woman (or man) and love designer hand bags, shoes, clothing, accessories then find out all the latest here! LOVE IT! A Place for Us Blog http://www.aplaceforusblog.com/ : Take a look at how a cookie cutter house is turned into a one of a kind family sanctuary through DIY projects! Tatertots & Jello http://tatertotsandjello.blogspot.com/: Into crafts or just wish you could? The tutorials and ideas will make you want to be called Martha!